This one goes out to all the haters. 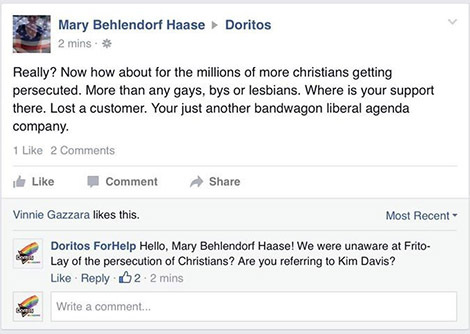 Last week, Doritos introduced a new Rainbow flavor of chips in support of LGBT rights. 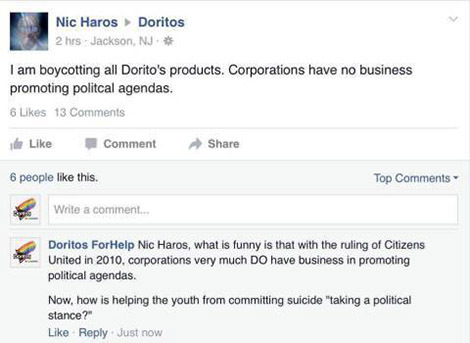 While the majority of responses from Doritos fans were positive, some people were not happy to see their favorite brand take a stance on a political issue. 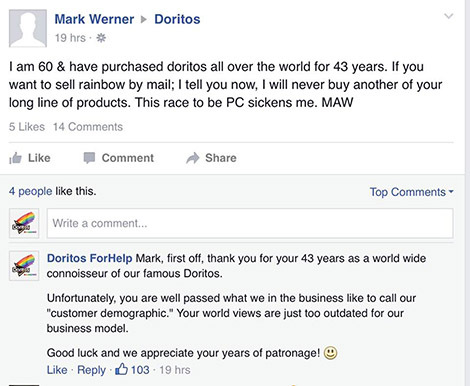 Unhappy parties took to the brand’s Facebook to express their dissatisfaction with the new flavor. 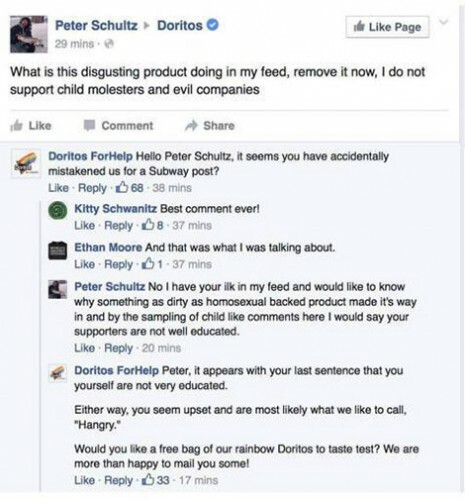 Disappointed in the outlash against the chips, one internet troll—notorious for his work advocating Target’s new gender-biased product removal—created a fake Doritos help page in support of the new chips.